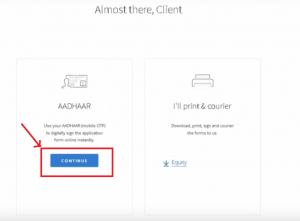 In this step-by-step tutorial we will be learning on how to start a trading account with Zerodha by using your Aadhaar. Opening a trading account with zerodha is very simple and straight-forward process. Head over to Zerodha Account Sign-up Page, you will be asked to enter your full name, mobile number and email id. Enter these basic information and enter “Continue To Signup” option. After clicking on “Continue to Signup” option you will be redirected to password setting page. Enter a strong and unique password for your account. It is advisable to write the password down for back up. After setting up your password you will be asked to enter your PAN card details. Make sure that you provide the details as required without any mistakes. You can either choose any one of them or both the options. If you choose both the trading options you need to pay an amount of Rs.500 as account opening charges. Now that you have completed the payment process. You will be asked to enter your bank account details and background information. Hit on the continue button after agreeing to the declaration. 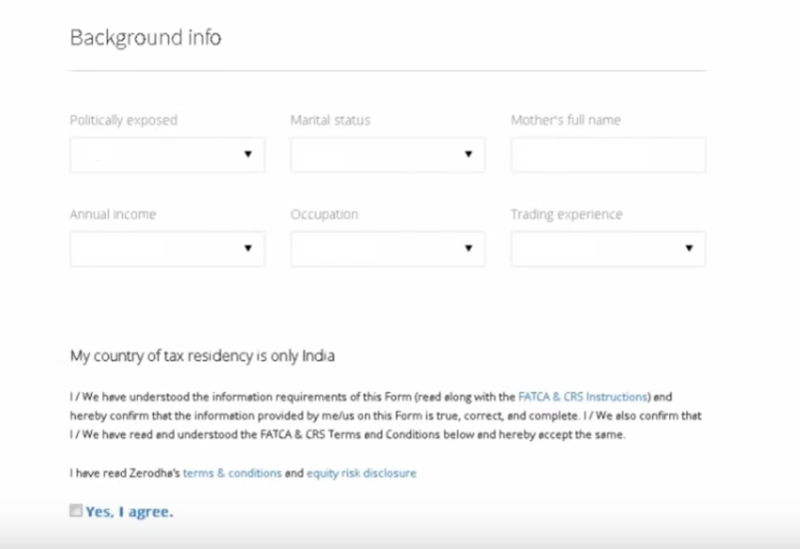 In this page you will be asked to digitally sign the application using you Aadhaar and mobile OTP details. Here, you need to upload a copy of your online bank statement or cancelled check as a bank proof. Uploading income proof is optional, unless you want to trade in futures and options. If you want to trade F&O you need to upload a copy of your bank statement as income proof. After submitting the bank proof and income proof, scroll down the page. You will find an option called eSign Equity. Select the esign Equity option and esign the documents using Aadhar mobile OTP. 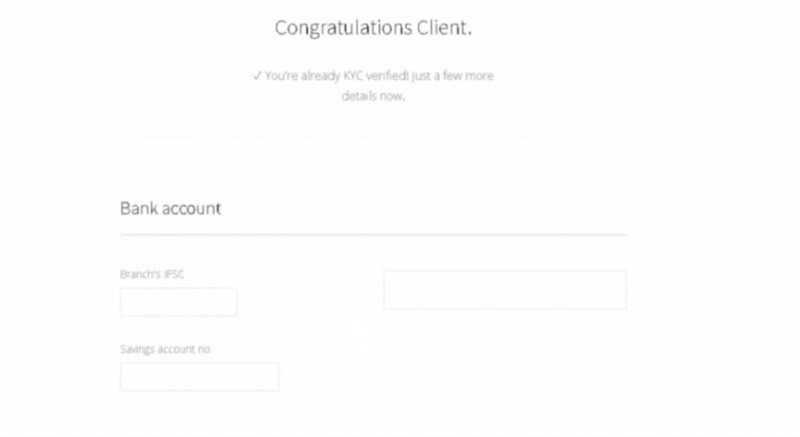 That’s it your account opening process is completed, within 24 to 48 hours you will receive your client-id and password from Zerodha. Login to zerodha kite with your client id and password and start trading. Hi.I have paid the necessary account opening amount.And the web page asked my bank details.I gave all of it properly.Then i agree to their terms and conditions.aAnd then pressed continue.But it goes back to the same web page again and again.Please help me.I don’t know what to do. Most probably this is due to not filling in the bank details correctly. Did you double check whether you had filled in all the required boxes.